Description: Several licenced Fisher-Price books were made during the late 1980's and the 1990's. 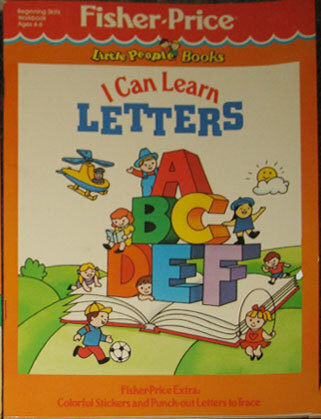 One of these books was a coloring acitivty book with reward stickers titled "I Can Learn Letters". The book is a beginning skills workbook for children ages 4 to 6 years old.